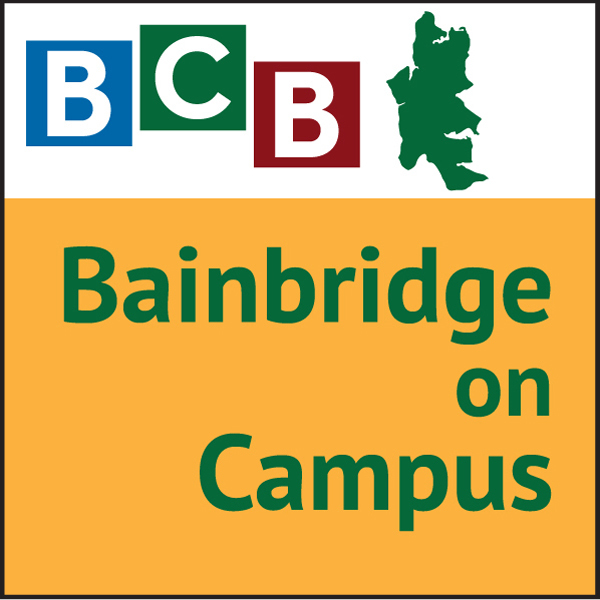 In this episode of Bainbridge On Campus, Jonathan Coonan interviews Aila Ikuse and Clio Batali about the Bainbridge Island High School Robotics team, Spartronics 4915. They discuss their 2015 season, as well as their individual experiences on the robotics team. A year and a half ago STEM outreach grew at the high school due to the formation of Spartronics Team 4915. The robotics club participates is an FRC (FIRST Robotics Challenge) team and have been working hard to get ready for this years competition season. FIRST, For Inspiration and Recognition of Science and Technology, is an umbrella organization that is also in charge of FIRST Lego League and FIRST Tech Challenge. Spartronics Team 4915 had an amazing season last year. 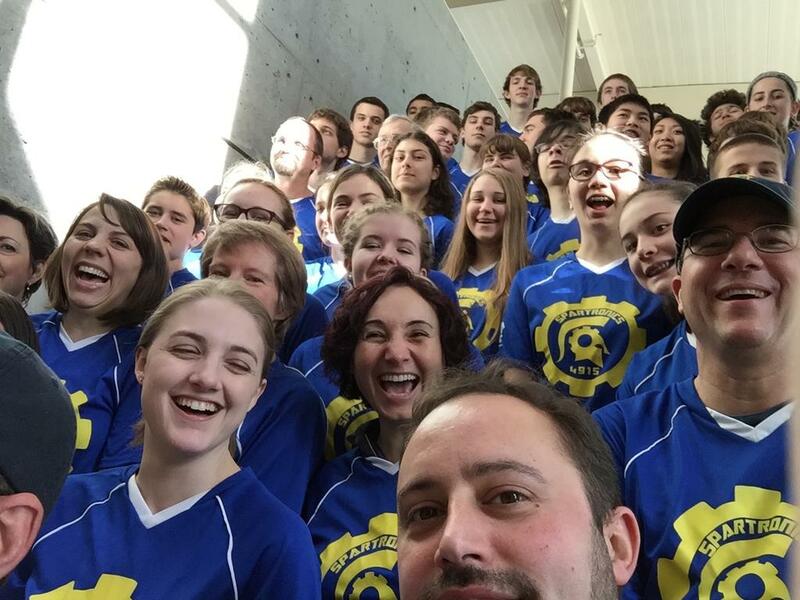 Their robot, ATLaS, made it to World Championships and finished in the top 5% worldwide. What makes robotics so unique is the presence of 13 professional mentors at every meeting. These mentors are engineers, programmers, and marketers who work in the professional world and live on the island. They teach team members about their respective fields, and help them build the robot. Due to last year’s success, the team has grown significantly. This year they have 50 members, twice the size of last years team. They also have 16 girls, quadruple the number last year. In fact, there were enough girls to attend the Girls Generation Competition, a competitions run by and for girls. The ladies fixed, drove, and cheered ATLaS on as they won 2nd place. This year’s challenge has been difficult to solve, but with tons of support and a successful season behind them, Spartronics 4915 has placed well in competitions at Glacier Peak, Shorewood, and their regional competition in Cheney. Due to the success of the team throughout this year’s season, they have qualified for another trip to World Championships with GAEA. On April 9th, 2015 the team is hosting a fundraiser all over the island celebrating STEM, and teamwork in the hopes of sharing their excitement about the world of robotics as well as raising money to send their robot across the country to the World Championships in St. Louis. They did not choose April 9th for no reason, in fact April 9th, 2015 is a once in a lifetime day for Spartronics team 4915, as 4/9/15 is the same number as their team number. Join the team for 49 minutes and 15 seconds at ACE Hardware, Town & Country, the Pavilion (where their robot ATLaS will be demoed! ), Westside Pizza, and Safeway. 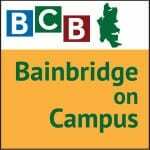 Credits: BHS-BCB host: Jonathan Coonan; BHS-BCB audio editor: Finn Mander; authors of podcast notes: Finn Mander and Aila Ikuse; BCB social media publisher: Barry Peters.